I saw very interesting discussion in LinkedIn, about making Task Inactive if it has actuals. Now the Task is finished! 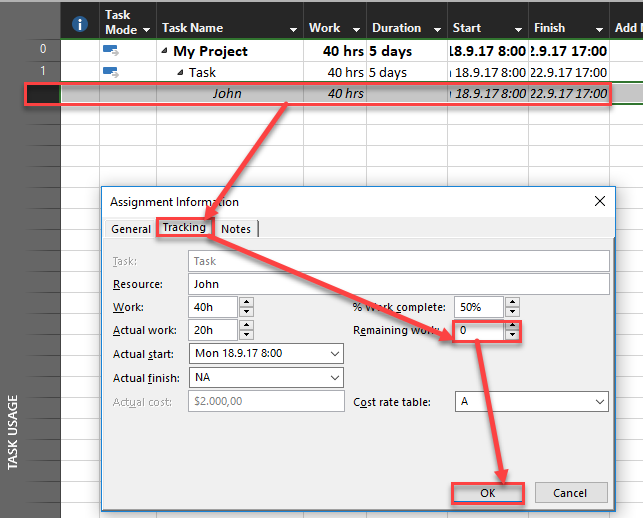 The other solution is to put erase all actuals from Task, and then make it Inactive, but I will not recommend it. Why? 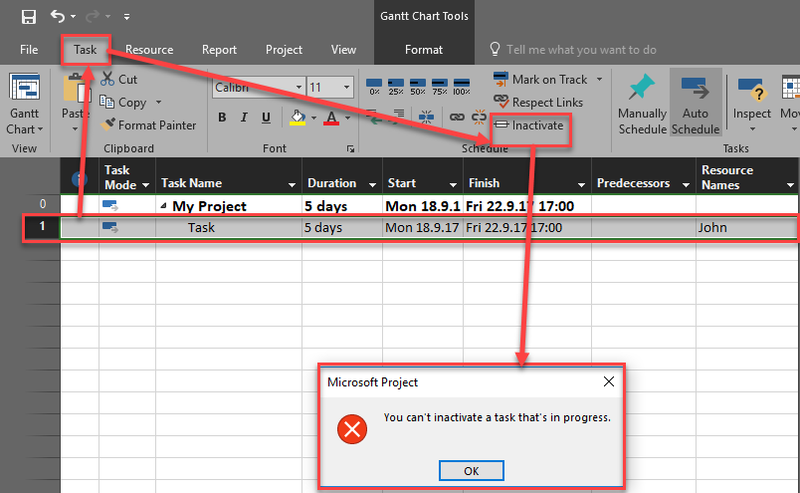 Because, in that case you are hiding actual work spent on that Task and actual costs, and that is something which is not very professional in Project management, is it? This entry was posted in MS PROJECT 2016 and tagged Micorosft Project 2016, Micorosft Project 2016 - Resources, Micorosft Project 2016 - Schedule, Micorosft Project 2016 - Tasks. Bookmark the permalink.